Half the fun of Halloween is going to the pumpkin patch and finding just the right specimens for this year's Jack-o-Lanterns. 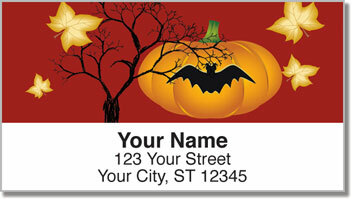 To honor the tradition, one of our designers put together this whimsical collection, now available as Jack-o-Lantern Address Labels. 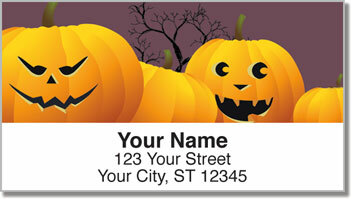 They're the perfect companion to our Jack-o-Lantern Personal Checks. 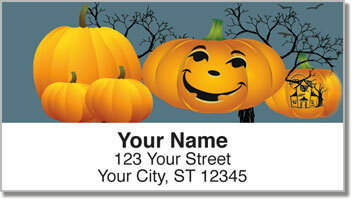 Emerging from backgrounds of muted earth-tone colors, these pumpkin heads are more cute than scary! 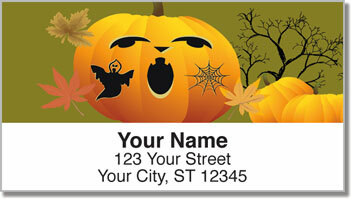 Go ahead, splurge on these seasonal labels and add a little mischief to your mail this fall! And while you're at it, get the matching personal checks, too. After all, it's Halloween!